This stunning boutique hotel Costa Rican style located in Cabarete with private Beach Cabarete, surrounded by natural wonder. An award winning eco-chic mini resort with 5 eco-buildings and a tree house, all made of natural woods, local materials, open structure unifying with the ocean and nature, native decoration and a modern Spanish Villa with AC. 2 swimming pools, jacuzzi, massage and yoga meditation deck, beach bar and restaurant, After a great diner and party at the bar or a night out in town, enjoy a good sleep to sound of the waves and the birds.Enjoy all the amenities, relax, swim, a 30000 sq ft tropical garden located near Nature Preserve...enchanting natural preserve, surrounded by a sandy beach, trees, tide pools. Surf or kite surf or walk 500 meters from ''El Encuentro'', the top surfing/kite spot in the Dominican Republic. Quiet, romantic, pristine, private. 2 large pools,2 Jacuzzi, restaurant, beach bar, Yoga massage and meditation parlor. 4 Eco Buidlings and 1 Villa Espanola. Large open Eco Bungalow, Casa Tarzan (130 m2) right on the beach, the stunning Giant Eco Penthouse Crusoe (150 m2 3rd and 4th floor high) 360-degree view of the beach, the 7 Eco luxury suite (2 to 4 people). 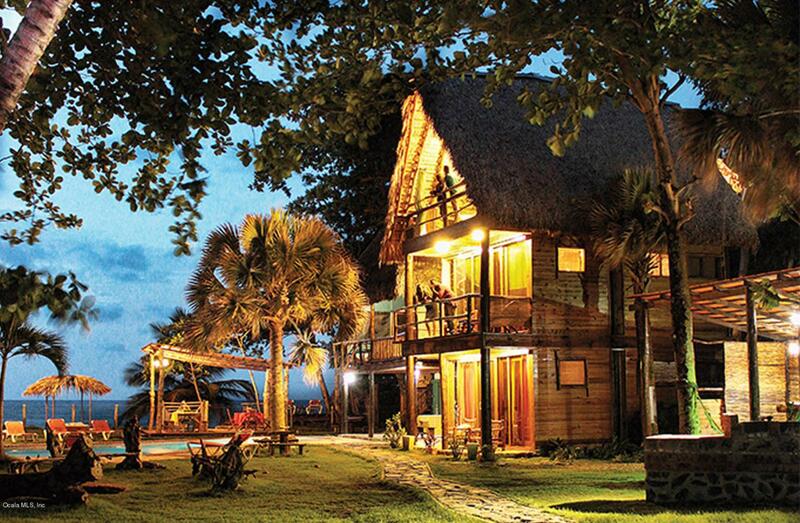 The elegant Tree House, or the modern Spanish villa with 1 Suite and 2 bedrooms. Choose one of them in one of the 5 buildings or take the whole property just for you with a private beach. Eco chic private luxury bungalows and suites on the beach and modern Mediterranean villa, a unique piece of paradise with a 30,000 sq ft property beach front, tropical garden.